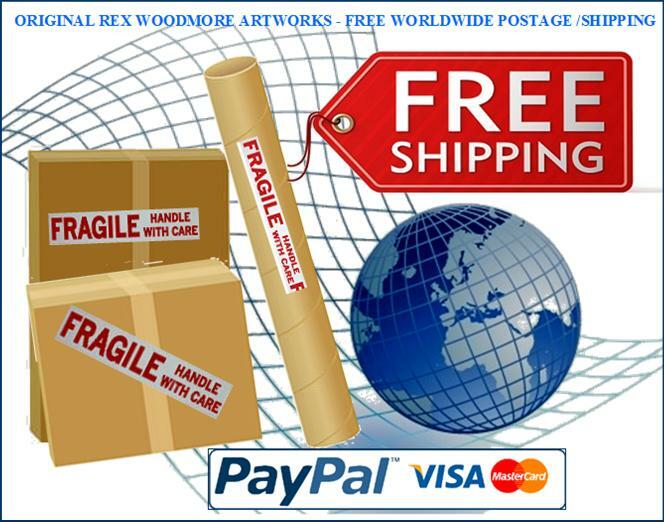 ​​YOU ARE PURCHASING AN ORIGINAL SIGNED ARTWORK, NOT A CHEAP PRINT! ​With PayPal you can use credit cards, debit cards, linked bank accounts. Domestic sales: Free Postage within Australia. DELIVERY ADDRESS: Orders are posted to the address on the buyer's PayPal account usually within 48 hours of full payment being received & confirmed. MULTIPLE ORDERS: If more than one painting is purchased at the same time, then they are sent as one parcel, unless otherwise instructed. ​REFUNDS and EXCHANGES: In over 75 sales there has not been one single problem of any kind whatsoever.​ However should there ever be one; email me within 48 hours of receiving your order, for a quick resolution to the problem. Part proceeds of art sales assists the supply of Water, Medical services & Education to desperate people. ​who are one of the organisations who provide life giving clean water, free schooling and medical services to desperate people in Africa. and enter the amount you wish to pay. ​The major influence on the price of an individual artwork is its popularity on social media and to a lesser extent my own attachment to a particular artwork. Other considerations include the cost of materials, skill and time in producing the work, plus time and labor in postage & packaging . I hope you enjoy my art as much as I do in producing it.